Let's celebrate the spirit of CNY by paying a tribute to the elegant Cheongsam and Changshan. Cheongsam and Changshan or clothing inspired by traditional Chinese clothes or prints. 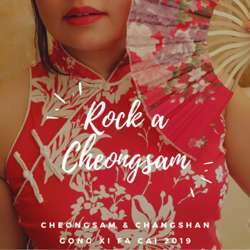 We believe in body positivity, hence don't miss this opportunity to rock your beautiful cheongsams and changshans. What if you do not have one? We'll make an exception and you can wear something red. Since we are celebrating CNY, we start off with some Lo Hei. Proceed for some spicy dinner and chit chat. Our dresses should make for some awesome photo ops too.